Set to open in One Archer’s Place on Fidel Reyes St. near De La Salle University (DLSU), the new The Coffee Bean & Tea Leaf® shop will be ready to open its doors to its first customers starting January 30—serving everyone with their full selection of internationally-acclaimed signature blends and gourmet treats and dishes. The One Archer’s Place store will be located near prominent establishments around DLSU and will cater mostly to students and young professionals working and living in the vicinity. In addition, it will serve as a haven for both cult-like followers of the brands as well as coffee and tea aficionados of all sorts. 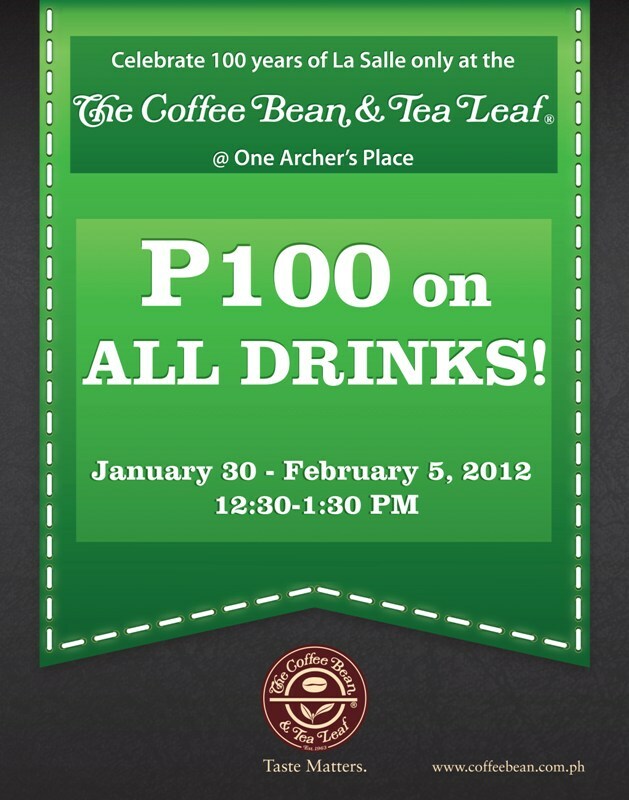 In line with its debut, The Coffee Bean & Tea Leaf® branch in One Archer’s Place will be holding a special promotion that will coincide with DLSU’s 100th year celebration. 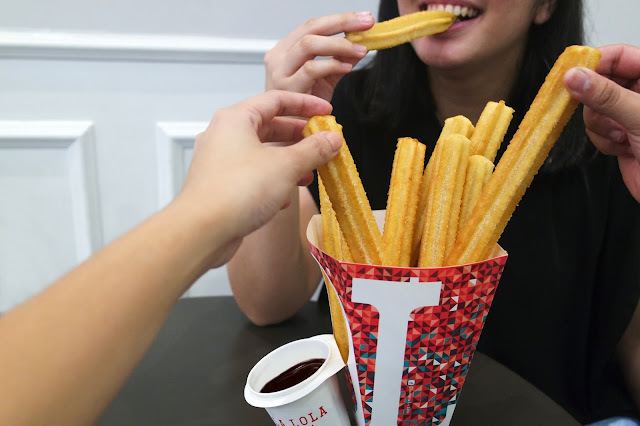 During the promo period that will run from its opening day till February 05, 2012, customers can come to the store from 12:30 to 1:30 in the afternoon and purchase any of their favorite drinks for only Php 100.